Original interface cards with gold pins. 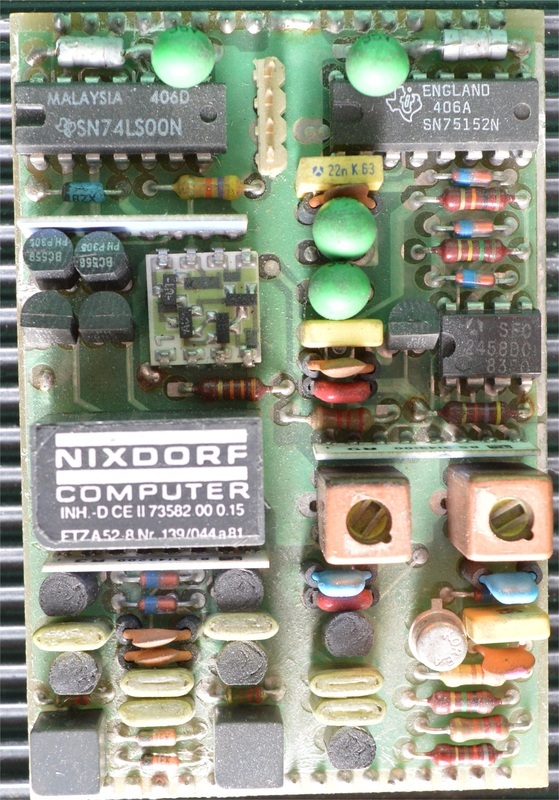 This is a V24 card with remote switch on that came out of a DAP4 VDU. 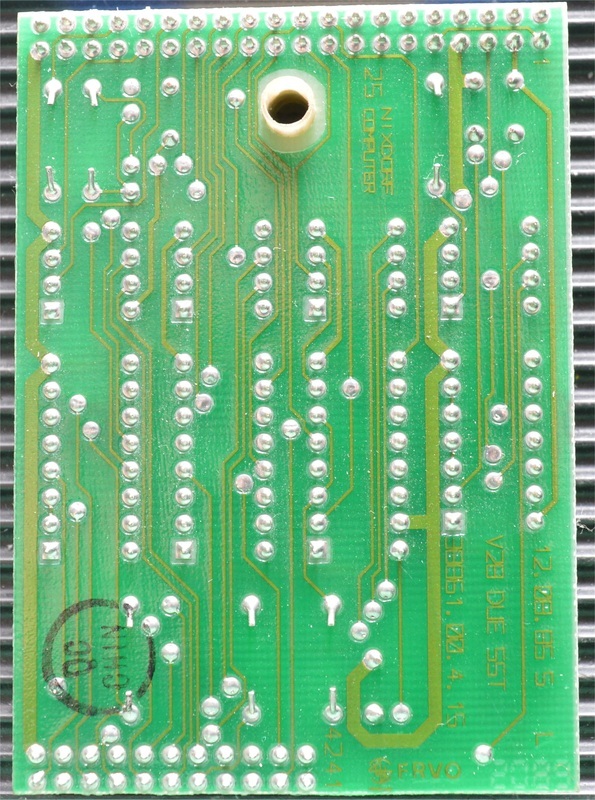 Unfortunately, as is now starting to be a common problem, the lithium battery within the DAP4 had leaked and started to corrode everything in sight including this poor card. This card will ONLY fit in a VDU. It has an extra row of pins meaning it can't be plugged into an ALME. 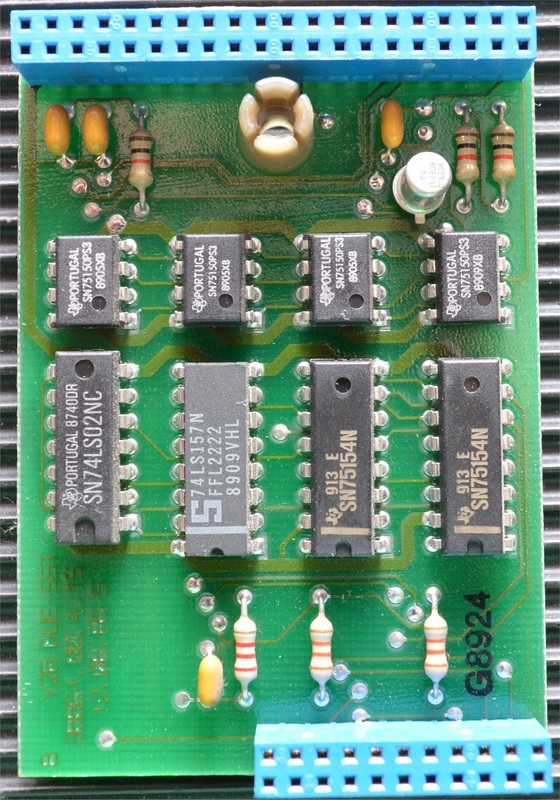 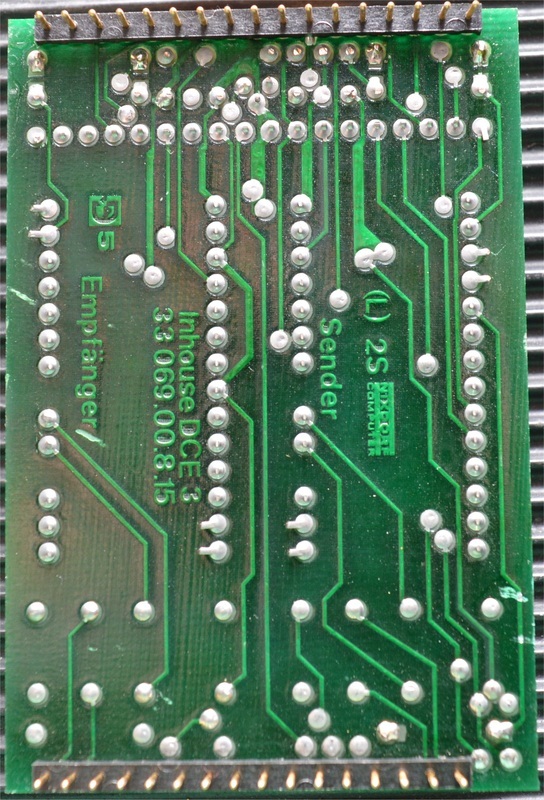 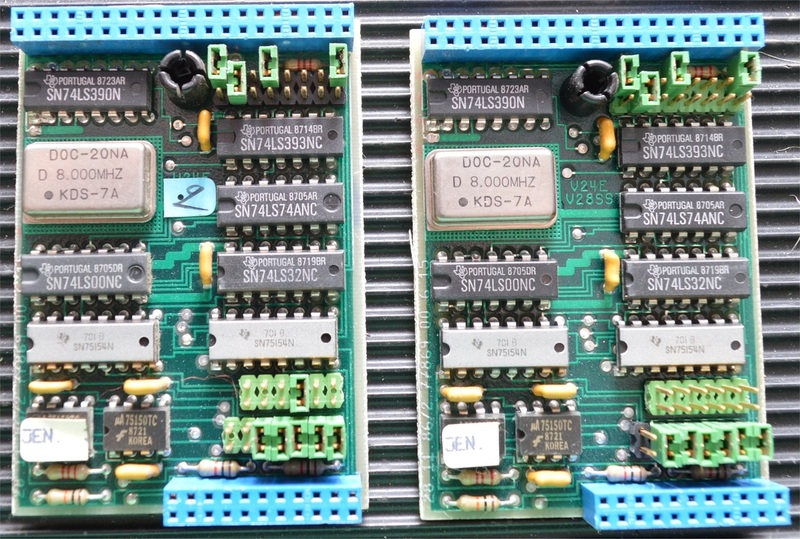 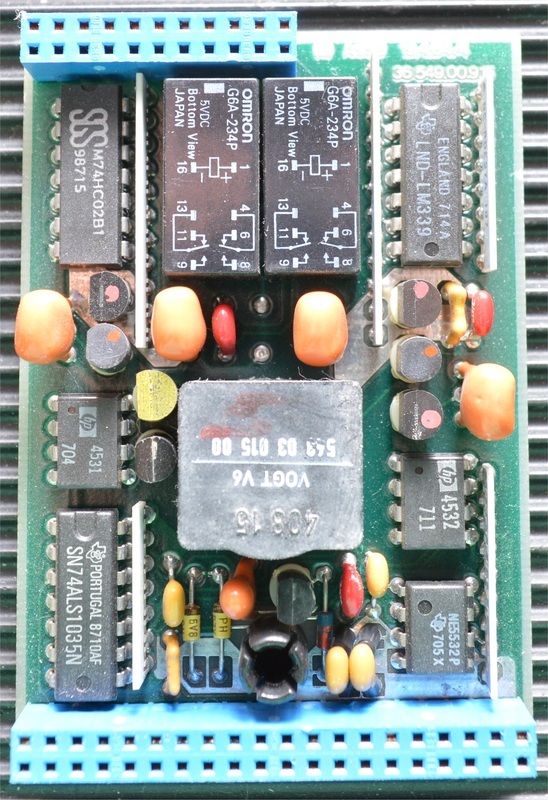 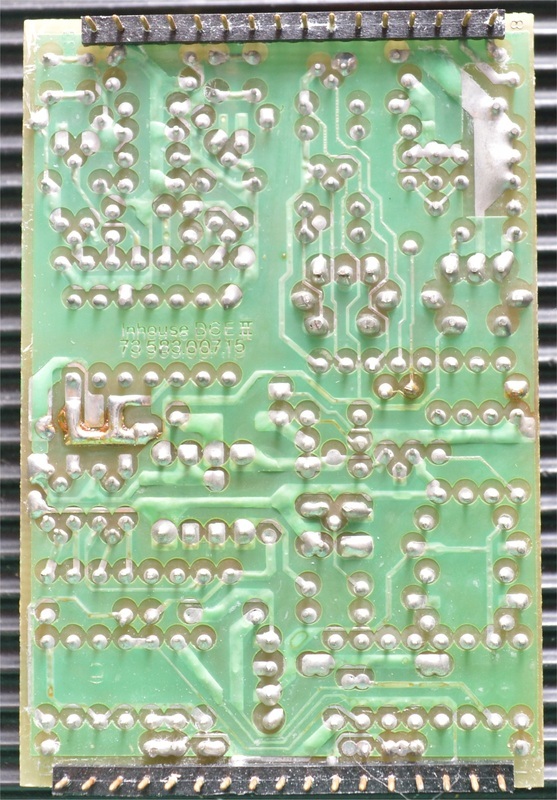 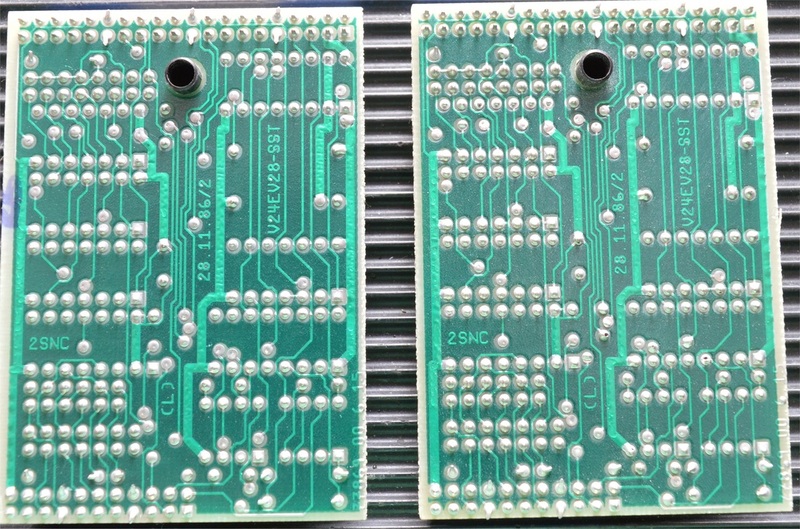 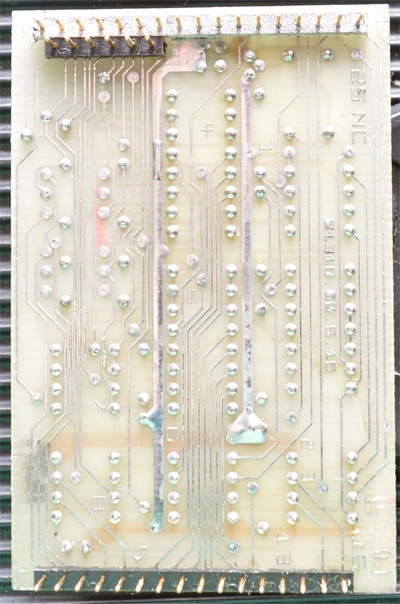 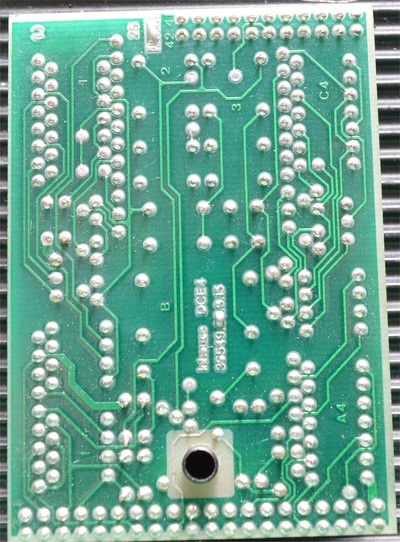 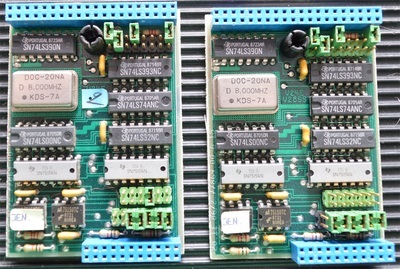 This V24/V28 card is used in for connections to either a modem or other serial device, or can be used with a master port with remote switch on (jumpers on left card). 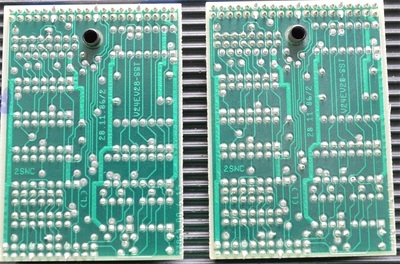 Notice there is one jumper different in both the lower rows. I always used to call these the poor-mans serial card. 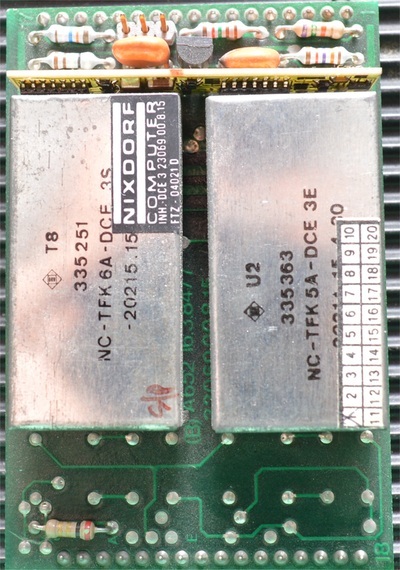 From memory, they were typically used to connect the remote support modem or can be used in ALME#1, Channel #1 for the master port connection and support remote switch on. 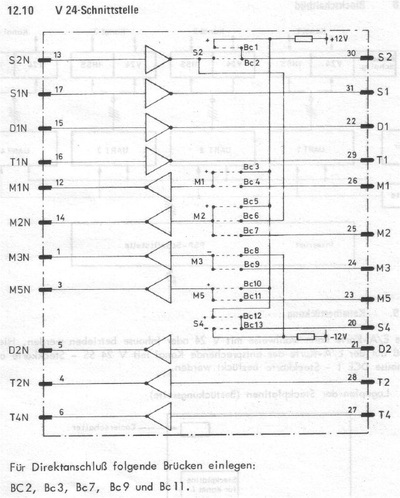 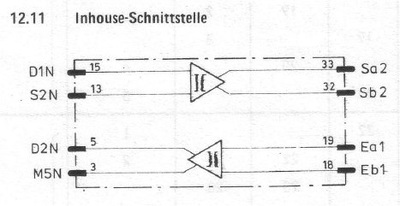 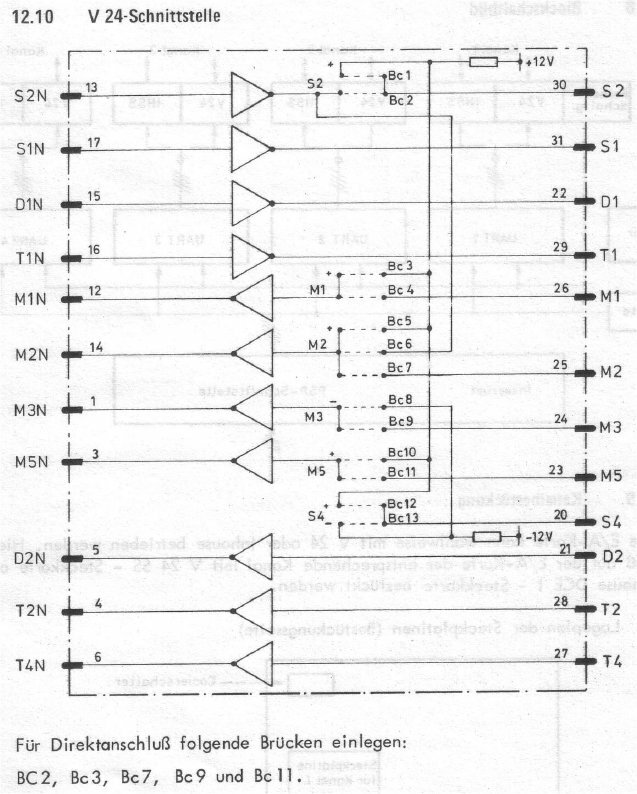 These circuit diagrams correspond to the original interface cards. 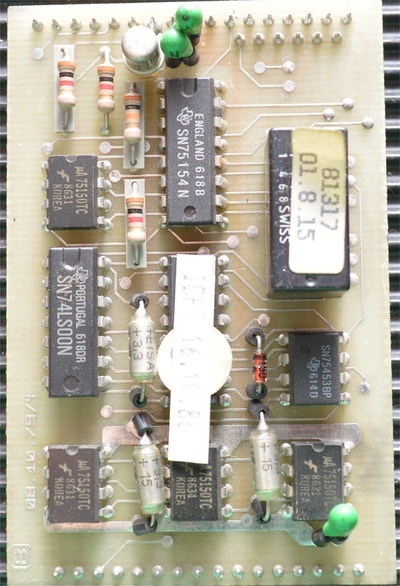 The numbers relate to the pins on the card and you can trace these back to the 15 way ICD connector on the ALME.